Aesthetica’s Interview with Jeff Brouws #celebratephotography « Adafruit Industries – Makers, hackers, artists, designers and engineers! A: Was there a specific experience which inspired these haunting images of America? JB: These isn’t any one specific experience but rather a wave of cultural and personal influences. Let me explain. A quote from Thomas Wolfe’s novel Look Homeward Angel affected me deeply early on: He said: “There’s a terrible and obscure hunger that haunts and hurts Americans and makes us exiles at home and strangers where ever we go.” That feeling of dislocation and alienation is something I’ve tried to imbue in this work. 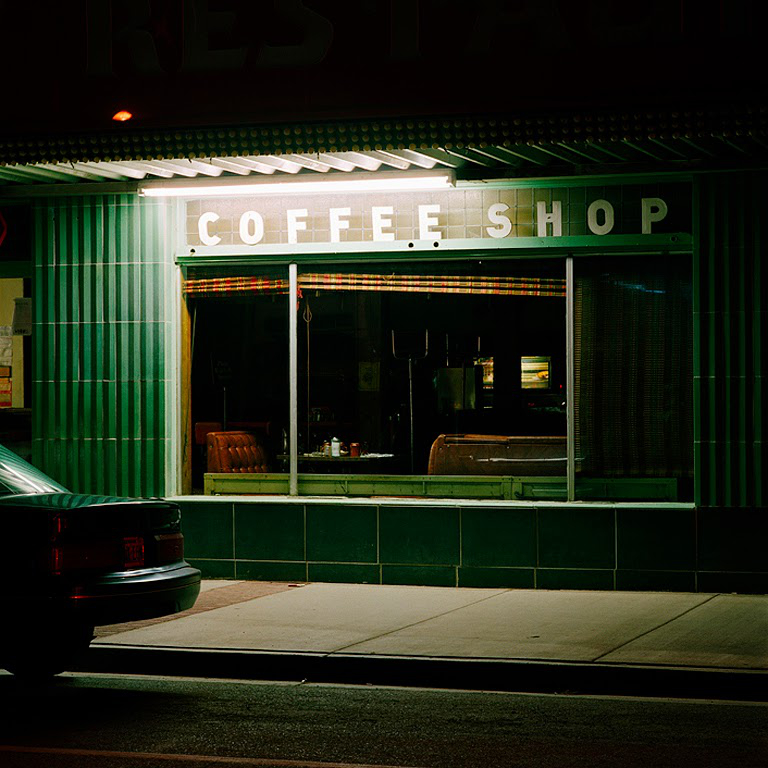 Edward Hopper captured that American characteristic in his paintings, and writers like Charles Bukowski and Raymond Carver expressed it in their writings. Bruce Springteen’s album Nebraska from 1980—with its many road references symbolising escape, freedom, or loneliness was also a touchstone for this earlier imagery.